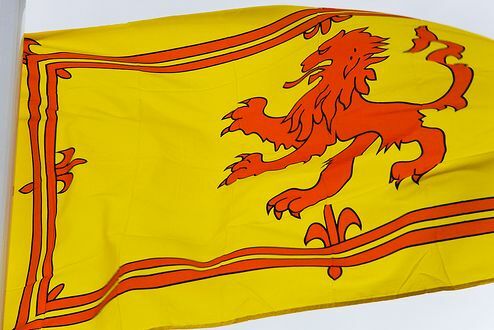 Scotland's second national flag, the Lion Rampant is the flag used historically by the King of Scots. It is a banner of the Royal Coat of Arms of the Kingdom of Scotland. » Size: 150x90 cm (3'x5'). » Material: polyester. For indoor or moderate outdoor use. » Brass eyelets and double stitched for extra strength.